Yada By Yamen was designed by its owner to resemble an atelier, a gallery with open spaces and no aisles, where the paintings are the women framed by the large square mirrors. The single room, with white leather chairs, Swarovski chandeliers and white orchids…all create an atmosphere of serene beauty, uncluttered by hair dryers, brushes and products. It’s the ideal backdrop for the work. 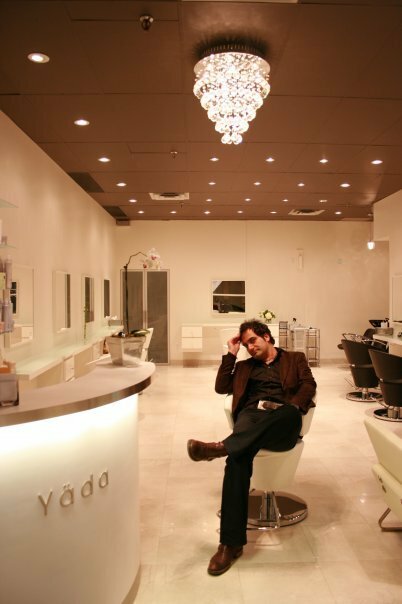 The yada experiences features Yada products range of shampoos and treatments for every hair type and problem. Conditioners and masques are included in the price. “If you really believe in hair health, then masques can be as necessary as shampoo,” says Yamen.